Foreign and local investors have long complained about corruption, and confronting it is an important part of reforms unveiled by Crown Prince Mohammed bin Salman to transform the country and reduce the economy's reliance on oil exports. Crown Prince Mohammed bin Salman aims at transforming the country and reduce reliance on oil exports. RIYADH/DUBAI: Three months after Saudi Arabia detained scores of people in a crackdown on corruption, its rulers are trying to reassure investors that the kingdom remains open for business. Yet some business leaders were unsettled by the swoop on top princes, businessmen and government officials in November because of the secrecy around the crackdown and their suspicions that it was at least partly politically motivated. "This is not a recommendation for why you should invest in Saudi Arabia," said a Western businessman with extensive contacts in the kingdom. "This whole thing has become one big ball of contradictions." Saudi authorities are loathe to say they mishandled the anti-corruption campaign. 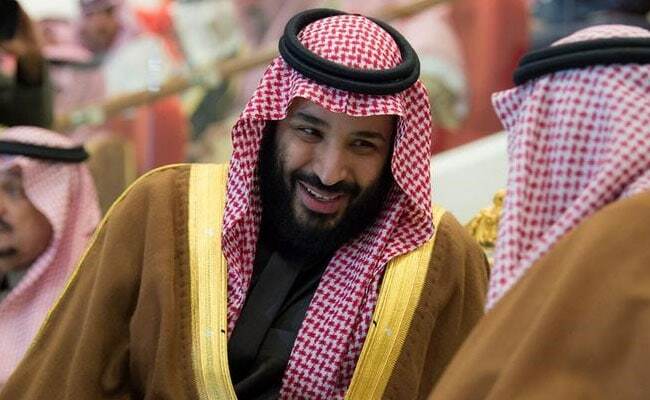 But top officials, including Prince Mohammed, met senior local businessmen last month to reassure them that the crackdown was mostly over and that it was safe to do business, according to five Saudi and Western sources who spoke with people who attended the meetings. Most detainees have now been released. In front of global political and business leaders at the World Economic Forum in the Swiss town of Davos last month, Saudi officials highlighted the positives of the detentions, dismissing worries about the way the crackdown was conducted but conceding that it might have been sold slightly differently. "It's true we could make mistakes here and mistakes there. Saudi Arabia is not a perfect country. Saudi Arabia is like any other country. But the ... road to success is always under construction and the whole momentum of Saudi Arabia is going toward that end," Minister of Commerce and Investment Majid bin Abdullah al-Qasabi told a Davos session. Government spokesmen in Riyadh did not respond to requests for comment, but Attorney General Saud al-Mojeb has described the sweep as "an independent judicial process" and "part of an overhaul to ensure transparency, openness and good governance". The message delivered in the January meetings underscores a difficult balancing act for Prince Mohammed and his team as they try to reform the country. They must deliver change, and one way to do that is by tackling corruption in Saudi Arabia's opaque business world. But the judicial system is underdeveloped and the crackdown contrasted sharply with Western-style due process. That means each attempt at reform in the deeply conservative Muslim kingdom risks exposing other shortcomings. The government has said that financial settlements made with the detainees in exchange for their freedom have raised more than $100 billion, mostly in the form of land, stakes in businesses and other illiquid assets rather than cash. That should help raise tens of billions of dollars for huge development plans, such as a $500-billion economic zone in the northwestern desert. But only a handful of specific allegations against those detained have been revealed. Details of the financial settlements are also being kept secret, and Reuters has been unable to verify the government's gross estimate. Authorities say that not naming detainees protected people's reputations, and settling cases out of court avoided protracted legal battles that would have distracted from other priorities. Yet the secrecy of the crackdown -- during which detainees were held inside the same opulent hotel where days earlier investors had rubbed elbows at an international business conference -- could undermine transparency promises. The January meetings between Saudi officials and the local business community were in multiple locations including the capital Riyadh and Jeddah, according to the sources, who declined to be named because the conversations were private. The primary message was that another wave of mass detentions is not on the cards, the sources said, a relief to businessmen who worried that authorities might now take the same approach to the next echelon of the Saudi business world. "They were told the anti-corruption campaign is done: continue with your business as normal and invest in the economy," said one of the sources, a senior banker. Another message was that the Saudi authorities define corruption relatively narrowly. While they want to improve Saudi business practices, the officials told business leaders, they will not try to change that culture so radically that normal business ties are damaged, the sources said. That was a relief to many businessmen in a country where personal relationships often help determine transactions between companies, and where gifts of cash or land are sometimes deemed necessary to get things done. At one of the meetings, officials told attendees that the government understood business payments to third parties were sometimes required, said one of the sources. Businessmen and economists in contact with the government do not expect a firesale of seized assets to raise money. That should minimise pressure on the Saudi real estate and stock markets, they said. 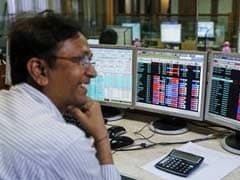 Instead, cash is likely to trickle slowly into government coffers, and authorities are not expected to interfere hugely in most of the companies in which they have obtained stakes, said an economist briefed on the government's plans. The meetings with the crown prince have calmed the nerves of some attendees, the sources said, but others remain worried that they could be detained at any time and that instability has become the new norm. "The whole business community is traumatised," said one of the sources, a Saudi businessman. The government has demonstrated it is willing to move quickly and ruthlessly to seize the assets of people it believes have acted wrongly. One banker who spoke to Saudi officials and attendees at one of the meetings said some of those released from detention had been told they may be asked to help fund certain projects. "There's an understanding that the government might at some point tap those released on the shoulder and say, 'Hi, we're building an infrastructure project and need some funding: Please contribute'," the banker said.